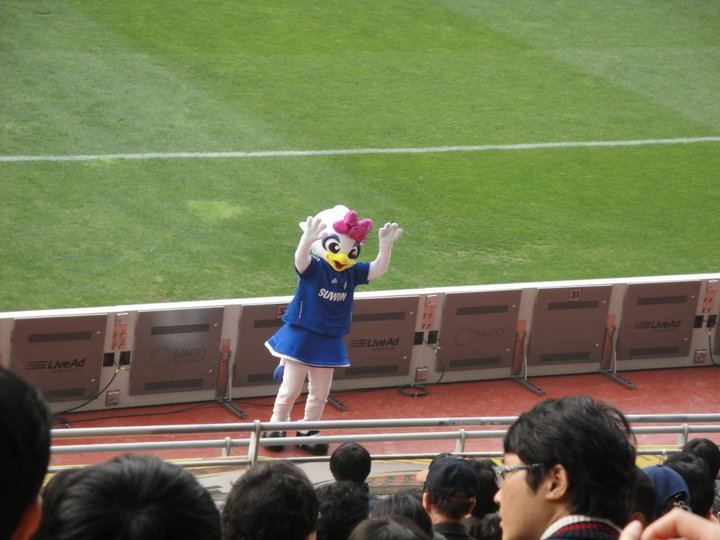 If you case your mind back 10 years you may remember a small international football tournament known as the World Cup, well this event was staged jointly by Japan and South Korea. Part of the World Cup legacy are the large modern stadiums, most of which were built specially for hosting the different group and knockout games. 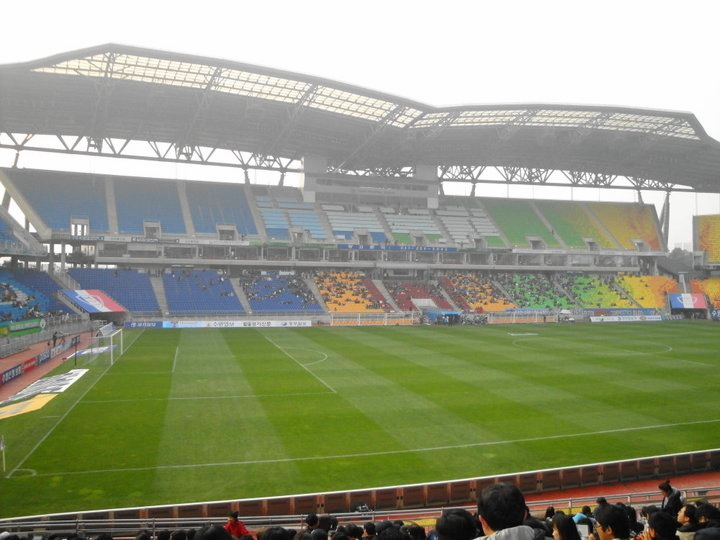 The Suwon World Cup Stadium which boasts the interesting nickname of the “Big Bird Stadium”, hosted 4 games during the tournament; USA 3-2 Portugal, Senegal 3-3 Uruguay, Costa Rica 2-5 Brazil and the 2nd round game Spain 1-1 Ireland (Spain won 3-2 on Pens). 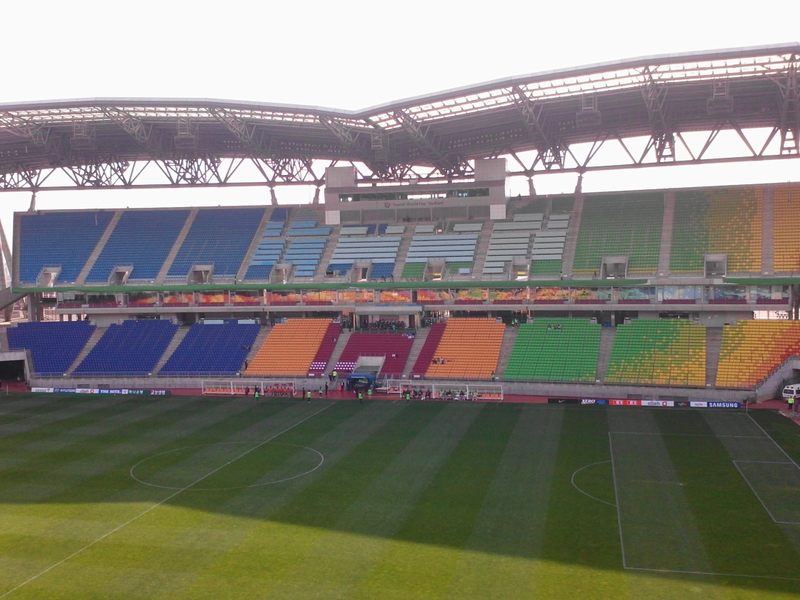 It also hosted games during the 2001 Confederations Cup and since has hosted the Peace Cup a number of times as well as a number of South Korean National Team games. 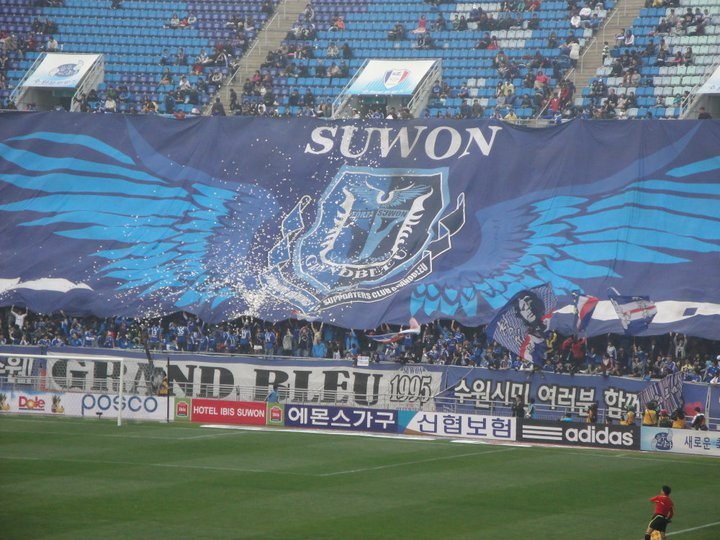 However since the games its main use has been as the game to the K-League side Suwon Samsung Bluewings who boost a successful history winning the K-League 3 times as well as the Korean FA Cup and K-League Cup both on a number of occasions. Plus they have won the AFC Champions League twice. 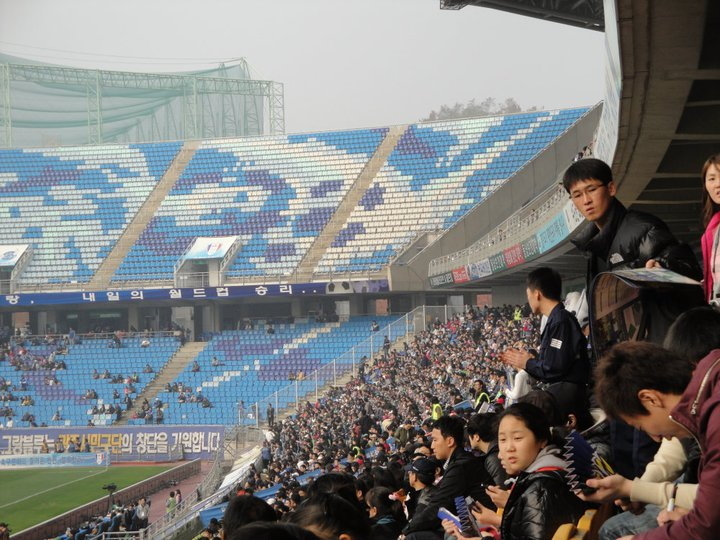 Sadly in the past few years success has been limited but they still boost one of the highest fan bases and so far this season the highest average home attendance at around 20,000 per game (this figure is a little misleading as Suwon had over 40,000 attend the home tie against Seoul, so the number is sightly inflated). 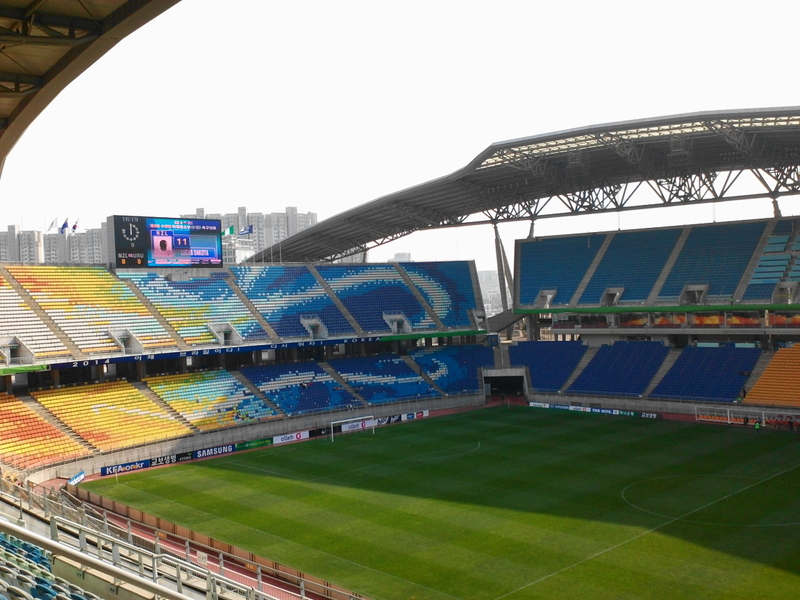 The Stadium is located to the North of Suwon and is best reached by bus. Here is the address: 456, Uman-dong, Paldal-gu, Suwon, Gyeonggi-do, Republic of Korea.